DASP Music is a registered charity (CIO) no. 1162919, which aims to enhance the musical education of young people in Dorchester and beyond. We ﻿coordinate instrumental ﻿lessons and provide support for schools across the Dorchester Area pyramid. We also provide a range of musical ensembles open to all young ﻿people in ﻿the local area. Shop online and support us! On 19th July, all Year 5s in the DASP pyramid, plus students from the Thomas Hardye School alongside many professional musicians, will be taking part in a large-scale performance, organised by Dorchester Arts at Maumbury Rings. For more information about the event, please see the Dorchester Arts website. All Year 5s can access resources to help them to practise the piece, here. Are you going to visit Dippy on Tour with your school? Why not learn this song before you go! This song was written especially for DASP Skylarks to sing at an opening Dippy on Tour event at Dorset County Museum in February, and the resources are now free to use for anyone who would like them. 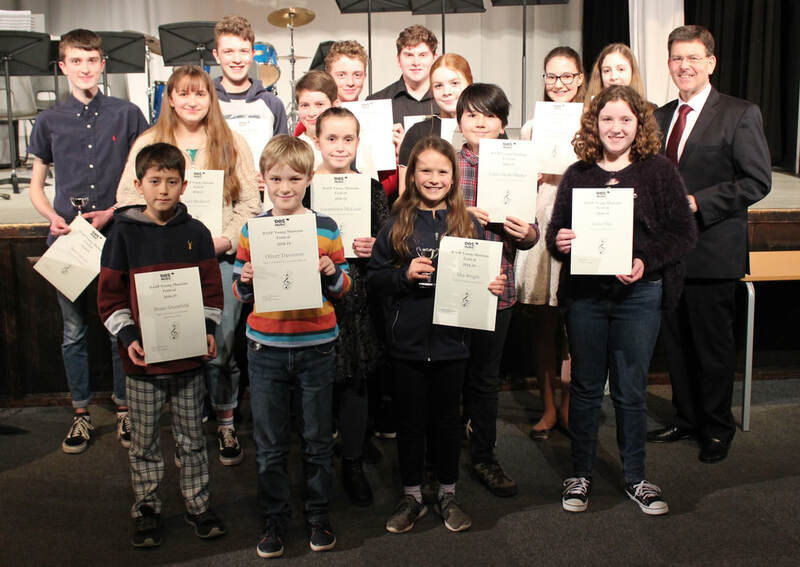 Our Young Musician Festival took place on 19th January. For a full report, please see our News page. For more detailed information about supporting DASP Music by becoming a 'Friend of DASP Music' and to find out about the various projects that we run, please click here.